Seth Shteir, a California desert field representative, hikes to a natural spring at the Mojave National Preserve near Kelso, Calif. The Trump administration is opening the floodgates for a private company that wants to pump water from under the Mojave Desert and sell it in Southern California. Two environmental groups accused the Trump administration today of illegally reviving a desert water project that is partly owned by a politically connected lobbying firm. 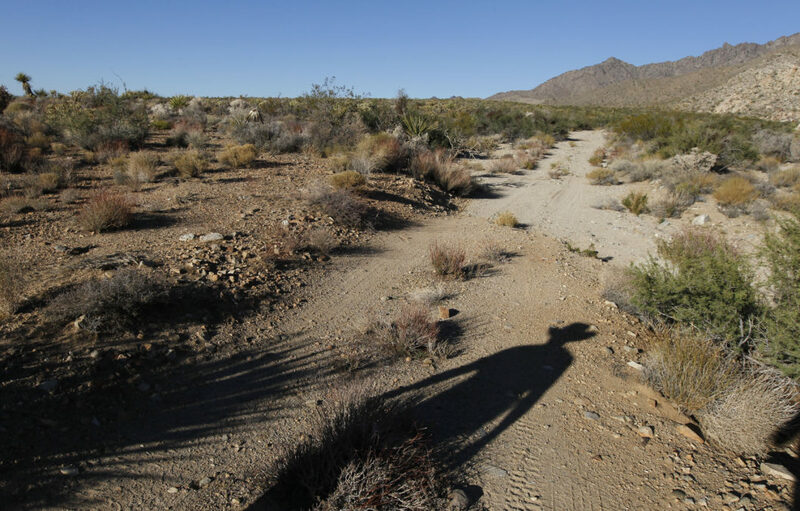 In a lawsuit filed in federal court in Los Angeles, the groups asked a judge to overturn an October decision by the U.S. Bureau of Land Management that gave the go-ahead to the controversial Cadiz water pipeline project in California’s Mojave Desert. The publicly traded Cadiz Inc. hopes to pump billions of gallons of water from an aquifer beneath the Mojave Trails National Monument and pipe it for sale to Southern California cities. Environmentalists have long opposed the project, saying it would dry up the desert’s water supply and worsen the region’s smog. California Sen. Dianne Feinstein, a Democrat, has crusaded to stop the project, and rulings by the Obama administration had left its fate in doubt. Cadiz is represented by the powerhouse Washington D.C. lobbying firm of Brownstein Hyatt Farber Schreck LLP, which also owns stock in Cadiz. President Donald Trump appointed former Brownstein lobbyist David Bernhardt to the No. 2 post in the Department of the Interior, which supervises the Bureau of Land Management. At his confirmation hearings in July, Bernhardt said he would abide by the department’s conflict-of-interest rules when it came to making decisions about Cadiz and his long list of other lobbying clients. Then, in October, Bureau of Land Management officials ruled that Cadiz can build its water pipeline along an old railroad right of way without getting additional permits or undergoing environmental review. The decision reversed an Obama-era legal analysis that had seemingly stopped the project cold in 2015 by requiring intense additional review. The lawsuit was filed by the Center for Biological Diversity and the Center for Food Safety, two California nonprofits. The lawsuit itself didn’t name Bernhardt. In his confirmation hearing, environmentalists called Bernhardt a “walking conflict of interest” because of his lobbying for entities with business before the Interior Department, including Cadiz and California’s powerful Westlands Water District. Bernhardt continued to work for Westlands well after he told senators he had stopped lobbying because his confirmation was pending. The Interior Department and Cadiz had no immediate comment. In the past, the company has contended that the pumping operation would have no negative effects on the desert, while providing a needed water supply.